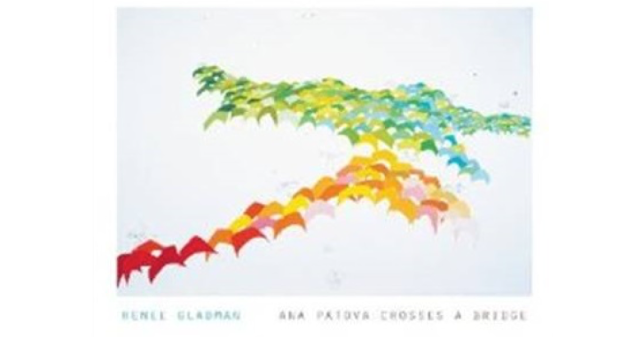 Renee Gladman’s trilogy, Event Factory, The Ravickians, and Ana Patova Crosses a Bridge, shifts epic’s emphasis on a shared, foundational past to ask how one understands a community’s present. With a different speaker narrating each book peopled with overlapping, recurring characters, the texts, while written in the past tense, thematize and insist on the question of the present moment. And likewise, they insist on the present moment as a question. At issue is an engagement with the now that is informed by time’s continuum: the still-affecting role of the past, the approaching future catapulted by current decisions, lived in a present that is intimately and constitutively connected to both these times that are other than one’s own. Gladman’s trilogy is not a history-making endeavor. Instead, its shift from epic’s past to the present changes the political stakes of the narrative. In place of the fortification of a past authored for contemporary and future readers, Gladman’s trilogy asks us to consider how one perceives and responds to an unfolding present still forming and coming into being. In the three books, apprehension of the present is experienced in fleeting encounters, flashes caught briefly in peripheral vision, vague answers from those who are supposed to know, and a sensory flooded with the feeling that something is not right in the fictional city-state Ravicka, where the books are set. Gladman’s is a poetics as sense-making in worlds that seem deliberately ambiguous, elusive, mysterious. In The Ravickians, the narrator Luswage Amini claims, “Ravicka continues its decay, but also something else I cannot name.” Despite empirically identifiable evidence of empty buildings, crumbling walls, dwindling populations, disappeared citizens, sirens, and fires coexisting with more intuitively sensed proof including feelings of anxiety, fear, and fatigue alternating with bold reserve, the situation in Ravicka remains ambiguous. Called a “crisis,” “state of emergency,” and “the despair,” events in the city are ominous yet unclear in their origin, target and ultimate end point. “It is not only that the edges that define this city are curling up and inward,” Luswage Amini states, “but also that the air with which I speak is lessening.” Palpable and ephemeral, dangerous and elusive, the crisis is threatening the city and its citizens. In the narrator’s note that opens the third book, Ana Patova Crosses a Bridge, Ana claims, “The book wishes to end a crisis by the sheer fact of existing. But, rather than a History, the book becomes an index. It shuffles our bewilderment. It does not tell our story. It cannot do that. Nevertheless, it opens toward you. Tiji.” The trilogy records the disorientation citizens endure in the face of Ravicka’s “state of emergency,” and despite a desire for it to be otherwise, Ana suggests the book itself is not able to intervene. In the note’s “Nevertheless” is an address to the reader, an invitation — “it opens toward you” — and in Ravickian — Tiji — to look for what is being pointed to.